bilingualamerica | Growing Up Bilingual in America! Growing Up Bilingual in America! For the first time in my life I made it to New York City, I got to stay at the Waldorf Astoria and got to Play Tennis at the USTA Billie Jean King National Tennis Center. I ate at the first ever Pizzeria in America (Lambardi’s) and got to experience my first Festival (San Gennaro) in Little Italy. It was also my very first time on the Subway. Although #Latism has had their Conference in NYC in the past, this year was the year of the Firsts for the Conference as well. The Family Atmosphere, the Incredibly talented Speakers and Panelists discussing the most interesting and relevant topics and the Great Entertainment that you’d come to expect was Amazingly Present as Always! What pushed this edition of the Annual Conference over the Top were the Firsts! The addition of a Tennis Tournament was the first ever Sporting Event for the Conference. It was a huge success & not only because my Partner Juan Carlos Grajeda (@Grajedajc) and I won it! 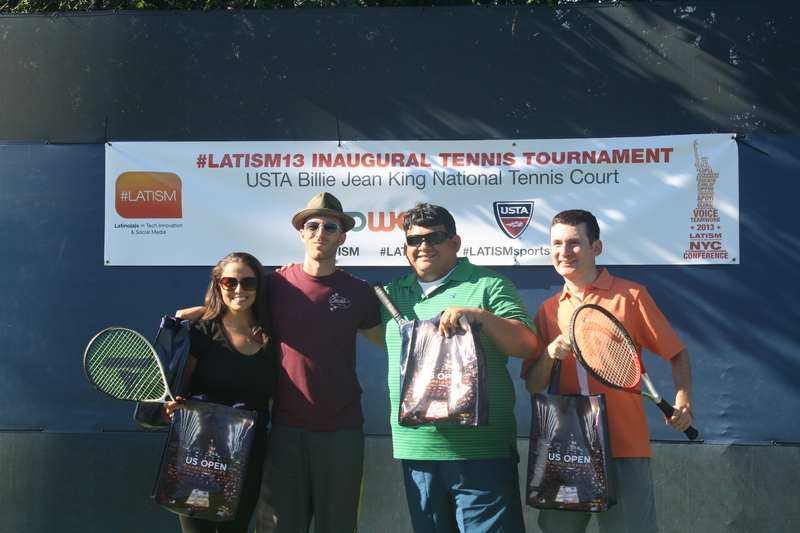 It was very well organized by Larry Pedroza (@MiamiLawrence) and Sponsored by SOWEB (www.sowebinc.com) and the USTA. The event took Place at the USTA Billie Jean King National Tennis Center, the venue that just weeks earlier crowned Rafael Nadal and Serena Williams as the winners of the US OPEN. It was definitely an unforgettable experience. One of my personal Favorites was the addition of the first ever Hackathon, organized by Oscar G. Torres (@Oscargt). I didn’t know what to expect because I didn’t know what a Hackathon was. By the end of the conference I was in awe of what the young talents were able to come up with. Legitimo was the overall Winner followed by MailTuCan and Student Dream. I’m now a Hackaton Fan! Latinos in Tech Innovation and Social Media (Latism) is a Non Partisan, Non Profit Organization. It is definitely a Family that includes and embraces everyone. The Organization is a melting pot of all types of races, ethnicity’s and cultures. This year #Latism13 had it’s first LGBTQ Panel, that had powerful stories and shared information regarding how Technology is helping break down health, cultural and social barriers. 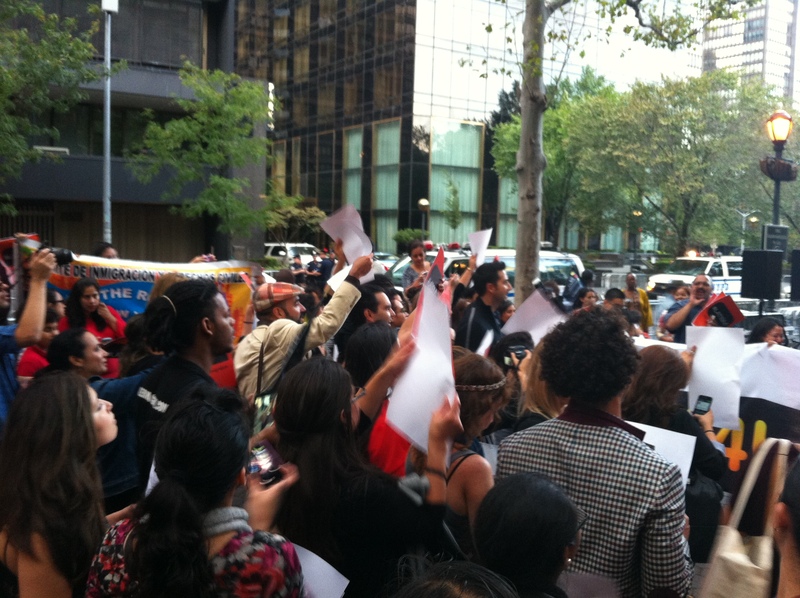 The most impactful addition to the Conference, for me, was the March for Immigration Reform (#all4immigration). I had never been a part of such a Powerful Event. Walking through the streets of NY with our Signs, singing our chants and listening to the comments as we walked, was amazing. When we made it to the Park near the UN, it was Great listening to the Motivational Speakers and seeing Elianne Ramos (@ergeekgoddess) bring out the Chancla. This is truly an experience that I will never forget. 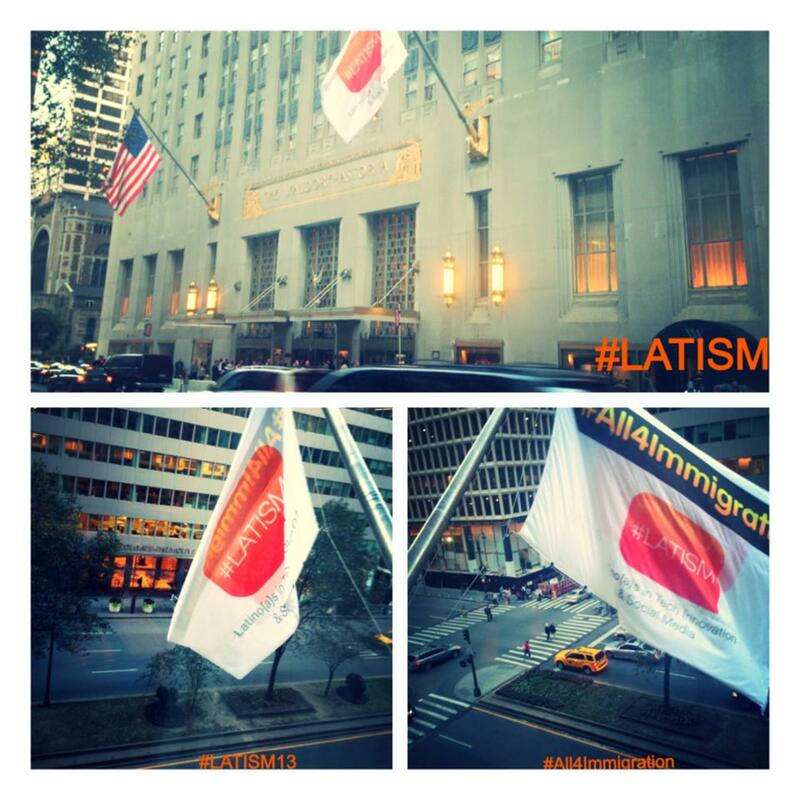 Overall, the #Latism13 Conference was a Great Success! I can’t wait til Next Year!!! Do you Volunteer or work with an Organization that Helps your community or environment in any way? Has anyone ever done something for you that inspired you to do something for someone else? My Friends at Johnson & Johnson have a program called Care Inspires Care that encourages acts of kindness. The Program, “centers on the idea that every act of care, large or small, can inspire another act of care-thus, creating a more caring world.” By sharing our stories we can start making a a difference. Growing up in our Family it seemed that we were always helping someone out. We didn’t have much money but my Folks could never say no to anyone that needed a helping hand. We had folks stay at our house until they got back on their feet, my dad fixed our friends cars, he helped others Roof their houses, whatever was needed my parents were there. In return, i remember that we always had help from our friends. If the A/C Broke, or we needed to paint or repair something at our house we could always count on someone. These experiences are engraved in my mind. Today I do many things based on those experiences. One of my favorite volunteer opportunities is that I sit on the Board of The Backpack Coalition in Round Rock TX. The moment I found out that this organization existed, i knew that I had to be a part of it. I couldn’t believe that Children in my community, in my daughters class, were struggling to have a meal, especially on the weekend. The backpack Coalition provides a bag of food with enough meals to help get the children through the weekend. It’s a Non-Profit Organization that works only because our Community backs it up. Tears have come to my eyes from just hearing the stories that the children share with us. They are truly grateful for our efforts and I know that we are making a difference. *Good Card is a Social Currency that can be redeemed as a donation to any of more than 1.2 Million Charities. Last night my wife and I attended the Partners in Education Gala in Austin TX. It’s the organizations largest fundraising event of the year; they raise around $200K for Education. The Black Tie affair brings in top Educators, large Corporate Sponsors, Local Business Professionals & Elected Officials. In preparation for the event, I went out looking for a new tie. After looking at a couple of stores I finally found two ties that i couldn’t decide between, so I got both! One was a blue striped tie the other a Black on Black modern design. The cashier said, “ooh, I like this black one!” I was pretty happy with my choices. When i got home, I asked my wife’s opinion about the ties and she said she absolutely hated the Black one, which is the one I was leaning towards. I went ahead and wore the Black one anyway. All night I wondered if I’d made the right choice until we walked up to a bar for a drink. The bartender greeted us with a smile and took our drink order, then he noticed my tie! He said, “that’s a great tie sir”, my wife and I looked at each other and she told him that he just made my night. He told her that those ties are “In” right now, that actors and athletes are wearing that style of tie. I was as excited as he was and thanked him for the confirmation. He even kidded with me and said he’d trade me for his tie. I felt great & so satisfied at that moment that i just pulled my tie off and gave it to the young man. Instead of a tip he got my new tie, he said i made his night too!! If you ask anyone in the world what they want out of Life, most people will give you the same answer, “To Be Happy”. Happiness means something different to all of us. It doesn’t make a person right or wrong instead it identifies us as individuals capable of making our own decisions. Stop trying to convince people that what makes you happy will make everyone else happy. Life is too short to worry about what other people are doing or thinking about you. Live, Laugh and Love with all you’ve got and most importantly Be Happy!! Today is a Big Day for Football Fans around the World. 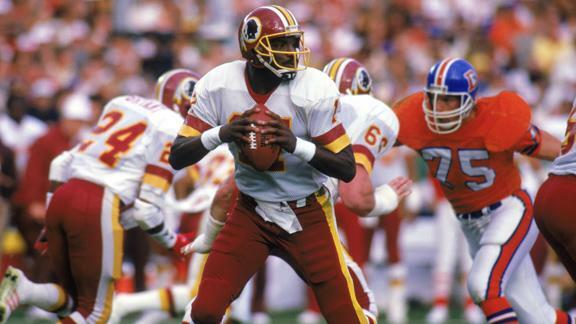 One notable statistic is that there has only been one African American Starting Quarterback to win the Super Bowl (Doug Williams 1987). Today there is an opportunity to make that Two with Colin Kaepernick starting for the San Francisco 49ers. Although race is not the top story in the media, Like in 1987, it’s still something that is in the back of many Football Fans minds. 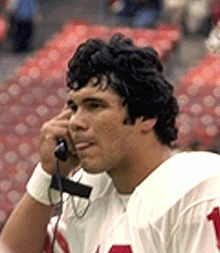 For Latino’s, we had Jim Plunkett who was the first Latino to win the Heisman Trophy as Quarterback (1970) and also the first Starting Latino QB to win a Super Bowl (1981,1984). Although it wasn’t as highly publicized as was Doug Williams win, maybe because of the Non-Latino Last name, it’s something that is as significant for us. Although Latinos have had some success in the NFL’s Past, Tom Flores was the first Hispanic NFL QB in History (1960) & Steve Van Buren First Hispanic elected to the Pro Football Hall of Fame (1968), we now see more Latino Last Names on Jersey’s across the NFL than ever. When I was growing up in the early 90’s I remember the perception was that Latinos didn’t have the size or speed to play in the NFL, especially not at the QB position. In 2012 we had two starting Latino QB’s in Romo and Sanchez, although I wouldn’t bet on either one of them to win the big one, we’ve come a long way. We have other standout players like Arian Foster, Victor Cruz, Aaron Hernandez, Willie Colon and Tony Gonzales. 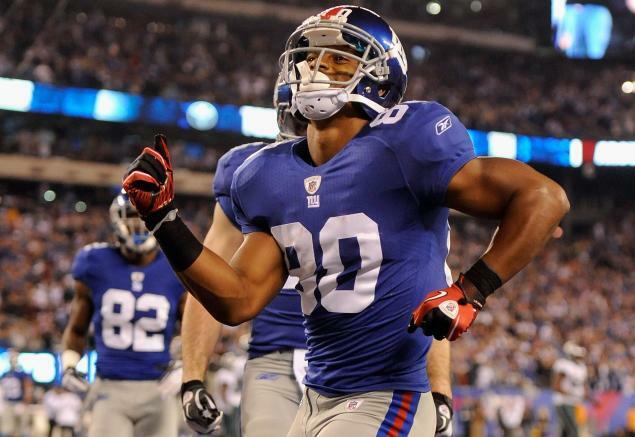 You can also feel the Latin Flavor when Victor Cruz, does his Salsa Dance after a touchdown. There are countless other up and coming players as well, including NCAA QB Taylor Martinez of Nebraska. With Sports, you can break down many walls, the game has certainly changed and the future looks bright for our Latino Youth. Happy 2013! I totally ended the year with a Bang and have been so busy catching up with everything. I’m just now getting around to writing about a couple of great events I attended during the end of the year. 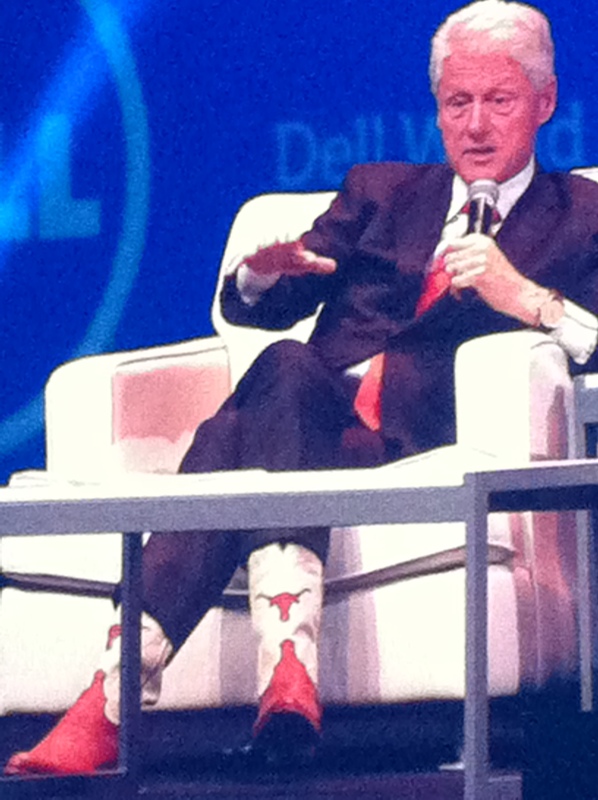 One of my favorites was definitely Dell World 2012 which was held at the Austin Convention Center Dec. 11-13th. I must let it be known that #Iwork4dell so I may be a little biased but it’s definitely an event I would recommend to anyone. This was only the 2nd time that they’ve had Dell World but I would have sworn that they’ve been doing it for years. There were many great sessions that consisted of Brand Managers explaining certain products and or services. There were also many Customers sharing their experiences and best practices. Most were very candid and shared their opinions about what they liked and disliked. Of course there was a petting zoo with many of the Cool new Dell Products and many vendors showing off their products as well. The Highlights for me were really getting to rub shoulders with some big wigs. 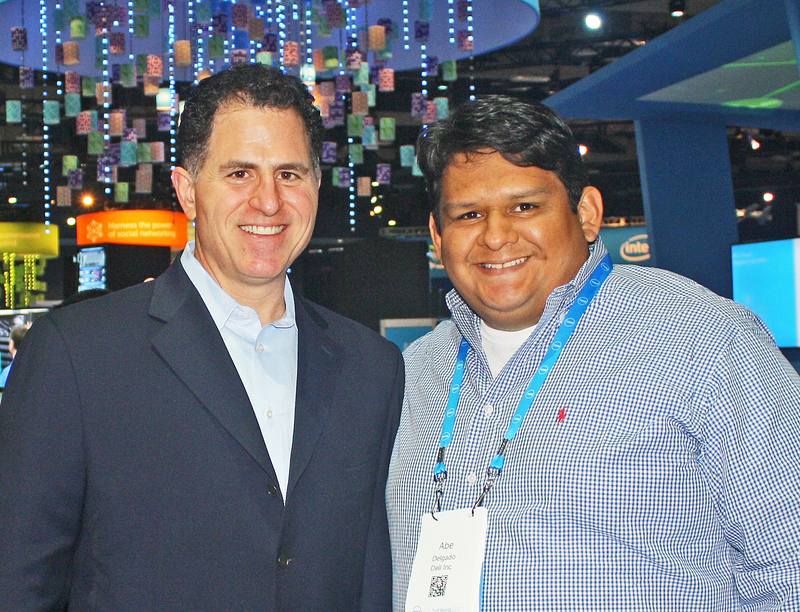 I took a picture with our CEO Michael Dell and chatted with him for a minute. 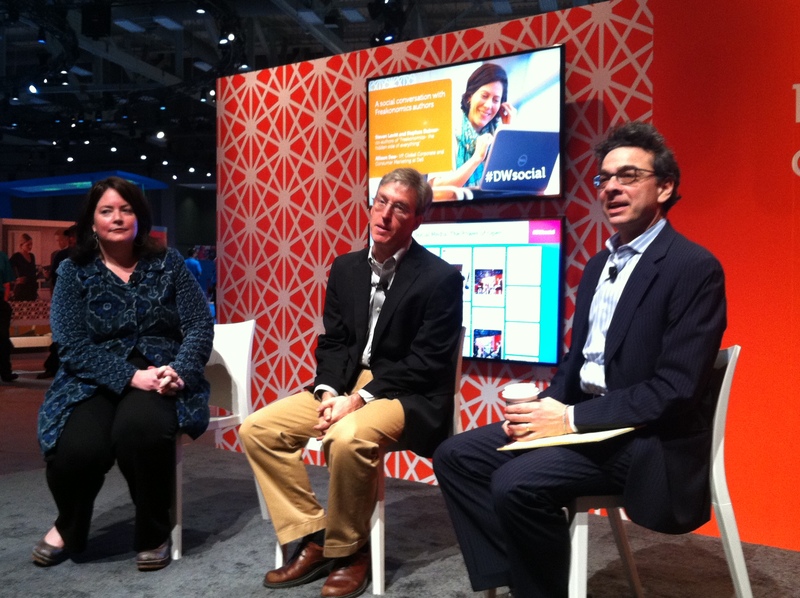 I also sat down for a few Social Media Sessions, which were all great, but the one where “Freakonomics” Authors Steve Dubner and Steve Levitt sat in on were extra special for me. The biggest highlight I would have to say was being able to see President Bill Clinton Speak about his Foundation and then answer questions from Michael Dell. It was truly a special moment. I can’t wait to go next year!! So Excited to bring in the New Year! As we prepare to party the night away, I wanted to take a moment and reflect on another Great Year of life. On a personal level I’m so thankful for my health, my family, friends (new & old) and for my work. I can’t wait to see what 2013 has in store for me! Dale Jr. Finally wins a Race! and… The Mayans were Wrong! One of the Great Benefits of growing up Latino in America is that you get double the food during the Holidays! Thanksgiving and Christmas doesn’t just mean Turkey & Ham for us. I remember when I was a kid I would wake up and the house smelled like heaven. Of course my mom had the “American” Spread with Turkey and all the fixings but we also had all of our traditional Mexican dishes. The whole family would get involved in the preparations. I remember helping my mom embarrar the tamales or trying to help with the Tortilla rolling, which I could never get perfectly round. In addition to the Tamales my mom would make a big batch of Pozole and Guisados with Beans and Rice which we covered with a Fresh batch of Salsa and shoveled with our Homemade Flour Tortillas right off the comal! Our Neighbors and Family Members would arrive throughout the day with Pan Dulce, Buñuelos, Capirotada, Pumpkin pie and other desserts and side dishes. There was never really a set time when we all sat and ate, we just pretty much ate all day. I’m glad to say that the traditions continue in my own home with my wife and children. Although we still hit my Mom’s house during Christmas we’ve decided to start our own Thanksgiving Tradition at our own home. We’ve done it now for the past three years and it seems like it just keeps getting bigger and better. 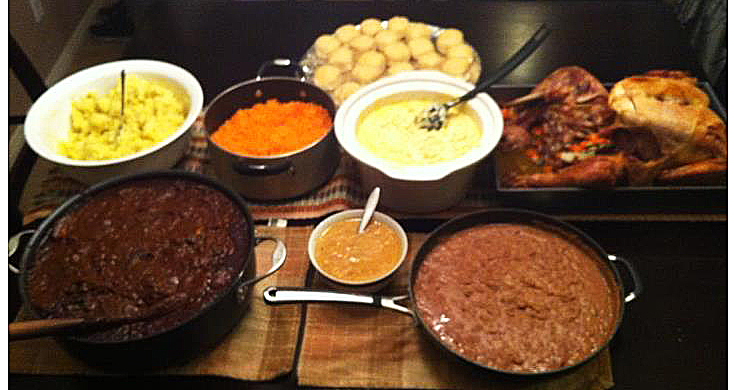 This past Thanksgiving, my wife who is originally from San Luis Potosi, outdid herself again. This year we had a HUGE pot of Chicken Mole and I’m not talking about a store bought paste, I’m talking about the made from scratch family recipe. She added Homemade Beans, Rice, Mashed Potatoes, Mac & Cheese and of course a twenty pound turkey!! (Pictured Above) My wife worked night and day to make sure that everything was made from scratch. She cooked so much that we’ve had wave’s of friends come over and eat the Recalentado & of course everyone loves it! It’s been a couple of weeks since the #LATISM12 Conference took place in Houston Texas. I can now take a moment and reflect on what parts of the 4 day event were the most impactful for me. There were so many interesting and influential people that shared so much; I felt like a sponge absorbing all of the great information and energy. Being a Sales Rep for a Fortune 50 company I focused primarily on the Business Panels. Although there were some Great Panels overall the one that really hit me was one Mediated by Elianne Ramos, “Social Media is about Relationships”. Early in the conference I met Ted Rubin. A friend of mine asked if i’d met him yet and since i hadn’t he promptly introduced me. I wondered, “what’s special about this guy, other than his socks?”. I soon found out, he is definitely one of the most influential people that I’ve met, in and out of social media. In the short time that I spent getting to know him in the hotel lobby, i knew that I wanted to learn more. I found out that he would be part of the panel “Social Media is about Relationships” and i penciled it into my agenda. All of the Panelists and the Moderator were fantastic. What I learned in that One Hour Discussion is something that I’ve thought about every day since the conference. The term “Return on Relationship” is very powerful, it’s a term that Mr. Rubin has trademarked and is releasing a book about next month. It doesn’t matter what business you are in whether you are a Marketing Rep, work in PR, you blog or are in Sales like myself #RonR is something that we should all live by. A few of the most memorable Ted Rubin quotes that I jotted down during the discussion that directly support the #RonR point of view were, “Social Media is not Media, it’s communication”, “Let’s take the word Friend back and let’s look people in the eye digitally”. Although this was a topic focused specifically for “Social Media” it’s the communication piece that really makes the difference when you’re building your brand. #RonR is now a part of my daily life, i can’t wait for the book! With Barack Obama winning a second term as President of the United States, there are many comments buzzing around the web and social media sites. People want to share their opinions with the world and they seek approval from their friends. During this time you can really learn a lot about your “friends”. Growing up in a small town in West Texas and Playing Tennis, most of my friends were Non-Hispanic. Although I never really felt out of place, I was always conscious about it. Most of the Hispanic people I knew were 3rd and 4th Generation Mexican Americans and many had lost touch with their roots and culture. Our environment really didn’t encourage us to be proud of our heritage, instead it made some of us ashamed of being Latino. There were jokes and rude comments about Mexicans all of the time. When you’re young and growing up in that environment you think it’s normal. Some people that never leave those small towns go their whole life thinking that it’s normal. It wasn’t until I moved to Austin Texas and started working at a Fortune 50 Company that I started to meet Highly Educated Latinos from Mexico, Colombia, Chile, Venezuela, Argentina and countless other Latin American Countries. People that came from wealthy families and people that came from nothing. It was amazing to see these Prominent Latino Leaders within my company and within my community. The environment I grew up in had you believe that this was impossible. Most of the Immigrants that come to the US to work in these small towns are not highly educated. They come here to give their families a better life. Many of these Immigrants teach their children the values of hard work and they push them to go to School so that they don’t have to work as hard as them. Many of my “friends” that I grew up with still have this mentality. They feel like they are better than us because that’s how they grew up and that’s what they learned from their parents and grandparents. I see comments that are hurtful and racist from people that i used to call friends. I know it’s Ignorance but it does sting sometimes, especially when you don’t expect it. All I can do is pray for these people and hope that they aren’t bitter for the rest of their lives. I on the other hand am now even more Confident and Proud of being a Latino, I want to shout it from the Roof Tops!!! Say it with me, YO SOY LATINO!!!! Musings from a northern boy gone south! Aquí, dejamos nuestras huellas para que el mundo las vea. Este blog registrará algunos de nuestros momentos familiares antes de que se pierdan en mi memoria. Dedicado a mi hija, publicado para que todos lo lean. ¡Disfruten el viaje!